With the big shopping bonanza just around the corner, it's hard to not start looking for the best deals. On November 24, the annual 'Black Friday' returns, bringing with it some of the top bargains of the year. With so many high street retailers taking part, we've put together this essential guide of all our top picks so you can save time on the day and know exactly where to head. If you are looking to join a gym but want to avoid those nasty joining fees, this may be the perfect deal for you. From Friday 24 to Monday November 27 they will be taking off the joining fees on their Supergold, Supergold Student and Cripps Student Budget membership. They are also offering a free month trial on their Junior Active Membership so the kids can get involved. 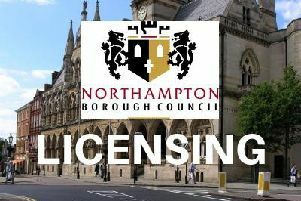 They have several centres located in Northampton so check online to see which one is closest to you. If you're looking to support more local businesses, this one is for you. They are offering online discounts and a free pendant worth £50 for every customer that spends £50 or more. Located on Abington Square, they offer a range of designer jewellery and watches to suit everyones taste. This local beauty salon is offering 30% off a full head of colour or highlights, massages and gelish nails/acrylics and 20% off Russian lashes. As well as taking care of the women, they are also offering a deluxe shave and cut for £22 down from £32. If you are looking to pamper yourself on Black Friday then look no further as Beauty With Inn is located along Harlestone Road in St James. With their Black Friday event running for 14 days, some of their offers are already out and available so you can save yourself time queing on the day and get them now whilst they are available. 1. Dyson V6 Cordless Absolute Handstick Vacuum Cleaner: now £229.99 and was £469.99. 2. Lenovo Yoga Tab 3 Pro 10 Inch 64GB Built in Projector Tablet: now £398.99 and was £449.99. 3. Hitachi 43 Inch HD TV/DVD Combi: now £289.99 and was £329.99. 4. Bush 7KG Washing Machine: now £159.99 and was £249.99. 5. Parrot Bebop Drone with Skycontroller: now £249.99 and was £399.99. Reserve your items online the day before to ensure they arrive in store on the day, otherwise you may be left disappointed by out of stock items. Alternatively, pay online using their FastTrack service to skip the queues and pick your items up straight away. There is a store located in St Peter's Square. Debenhams are promoting their '7 days of amazing deals' online now. With up to 30% off every department, there is something for everyone. 1. Dolce & Gababana L'Imperatrice 3 Eau De Toilette 100ml: now £22.00 and was £44.00. 2. Mirrored Nest of 2 Tables: now £142.80 and was £280.00. 3. Tassimon by Bosch Black 'Vivy 2' Multi Beverage Machine: now £40.00 and was £100.00. Every day this week, Debenhams will be posting new exclusive deals so get online to see what today's offer may be. There is a store located on The Drapery. Currys are promoting their 'lowest ever Black tag prices' as well as limited time discount codes online. From electrical items to household items, we've rounded up some of their best bargains. Their Black Friday event has already started and features '100s' of products. You can also order online and collect in store meaning you don't have to wait around in queues on the day. There is a store located in Nene Valley Retail Park. Online shopping giant, Amazon, is also taking part in Black Friday and has already started teasing customers by telling them there are 'new deals, every day'. 1. Amazon Echo 2nd Generation: now £69.99 and was £89.99. 2. Kindle Paperwhite E Reader: now £79.99 and was £109.99. 3. Phillips Sonicare DiamondClean 3rd Gen Electric Toothbrush: now £89.99 and was £299.00. 4. Sandisk Extreme Memory Card 64GB: now £22.49 and was £31.49. 5. Vivienne Westwood Ladies Orb Rose Gold Case Bracelet Watch: now £109.00 and was £210.00. Lupo, which is based in Northampton, sells gadgets and tech accessories through Amazon meaning you can support local businesses whilst getting the best deals. With some items on same day delivery, you don't have to wait until Friday to start getting those bargains. So, if you are looking to bag yourself the best deal on Friday, make sure you use our handy guide to navigate your way through the best deals in Northampton.